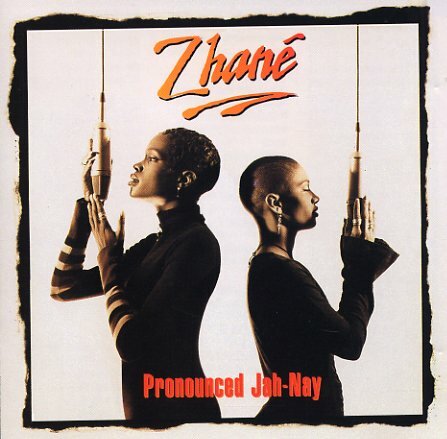 A stone classic from Zhane – a duo who maybe never had the longest life in soul music, but who made a massive impact with this gem from the 90s! The record was part of a new urban generation that was grounded both in hip hop production and deeper soul modes – territory maybe opened up a bit by British imports, especially Soul II Soul, but which also became very firmly a part of the American scene with a record like this! The sound is great – a wicked mix of beats, keyboards, and lean elements – maybe laying out a neo soul blueprint before anyone ever thought that way – and the traded vocals mix great sweetness with the funk – on titles that include the hits "Hey Mr DJ" and "Groove Thang" – plus "Vibe", "Sending My Love", "Off My Mind", "La La La", "Love Me Today", "Changes", and "For A Reason". Also features the remix versions of "Groove Thang" and "Hey Mr DJ". © 1996-2019, Dusty Groove, Inc.